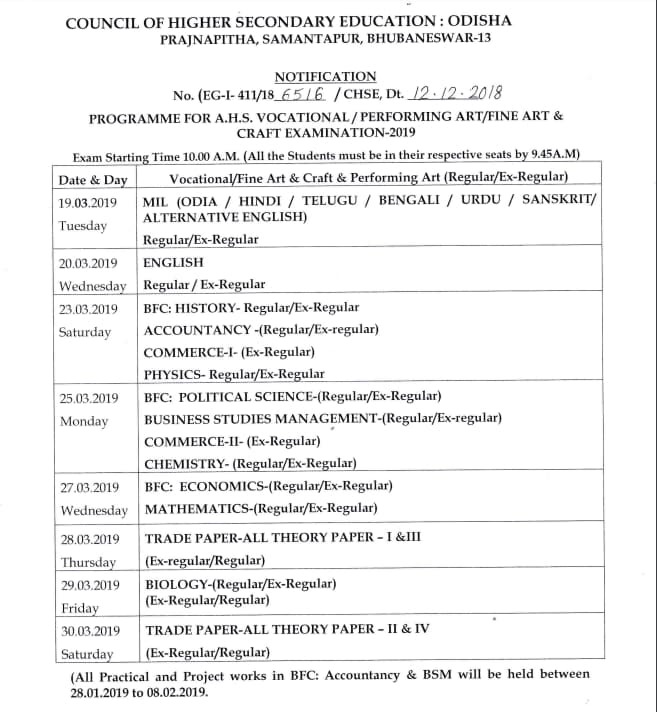 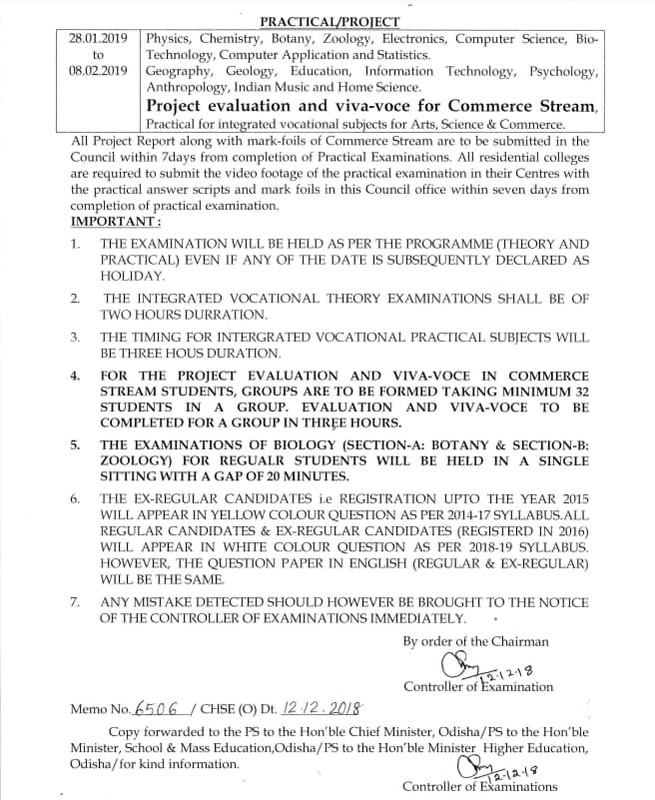 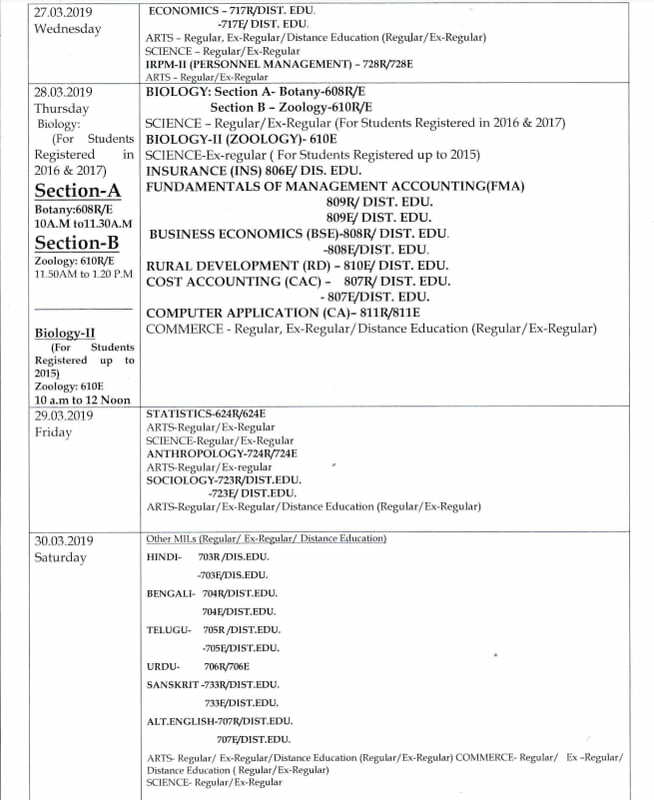 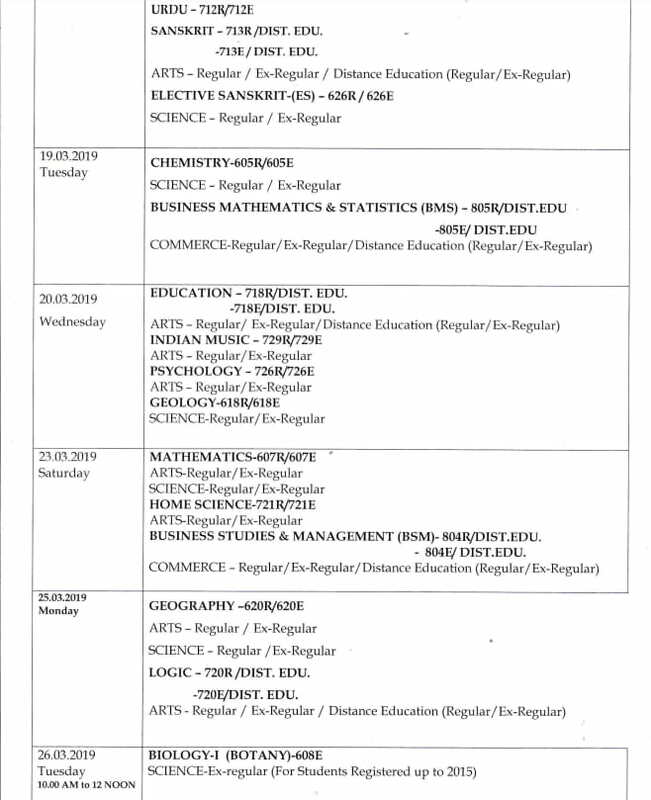 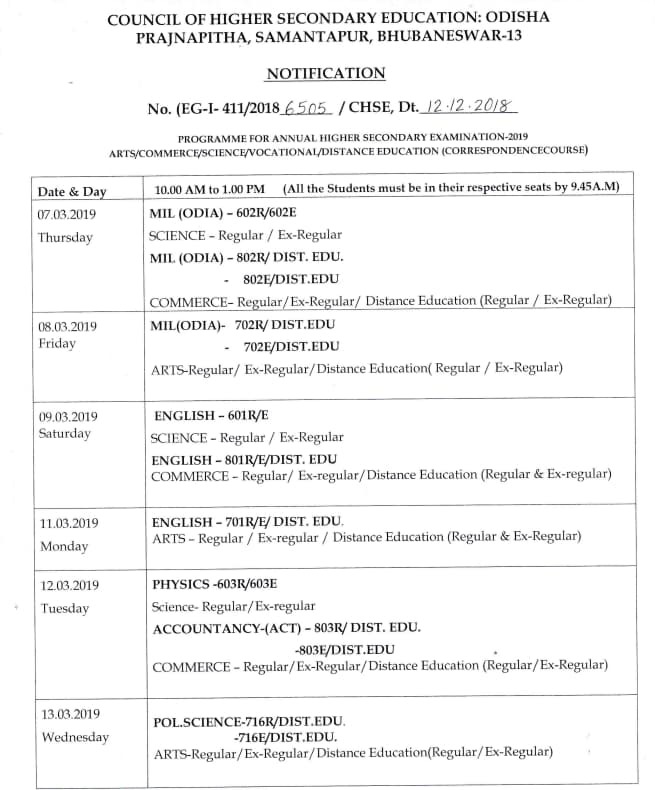 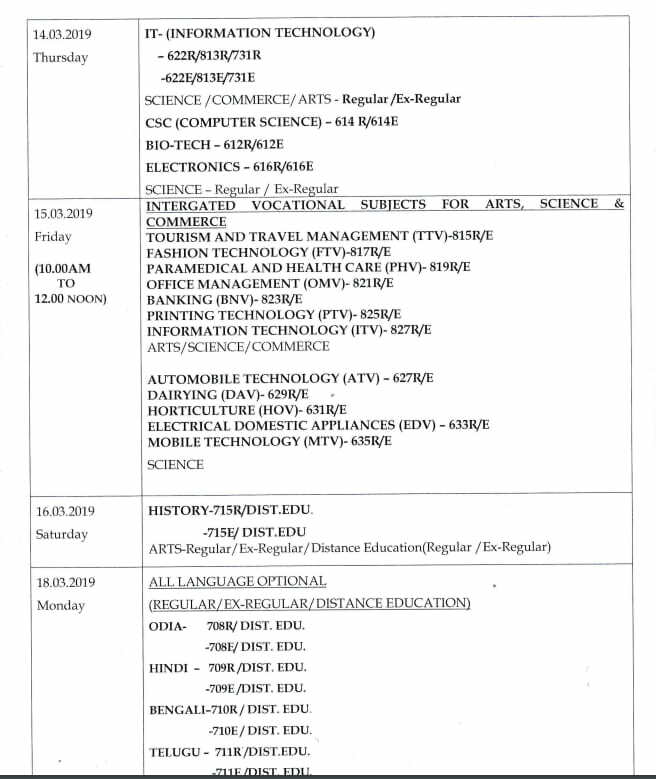 The Council of Higher Secondary Education, Odisha (CHSE) announced 2019 +2 Exam Time Table. 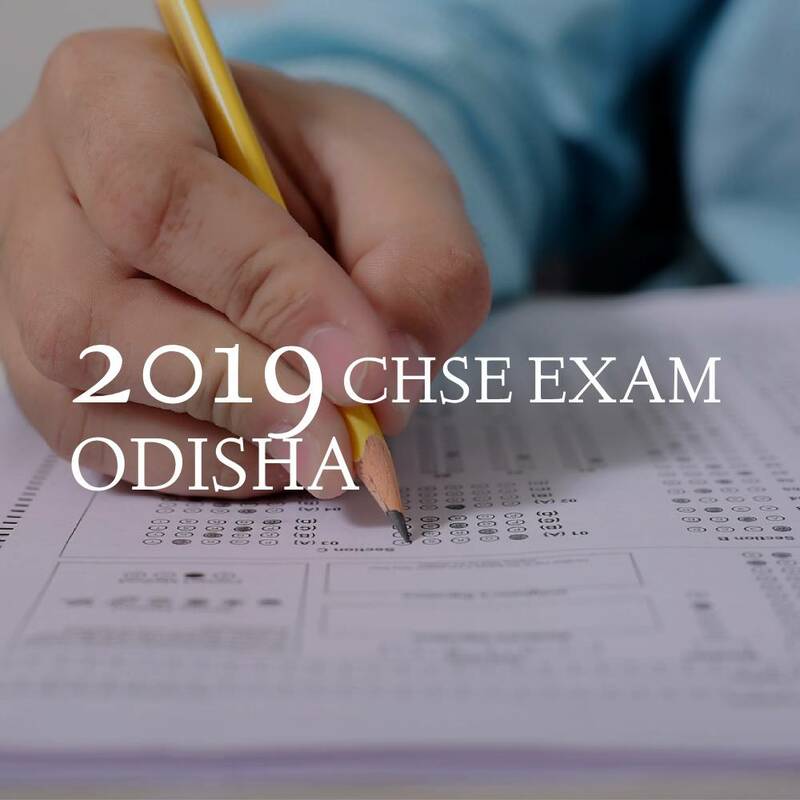 Remember The Students who are appearing for the 2019 CHSE Exams, have to be in there seats by 9:45 am on the Scheduled Dates of there Subject Exam. 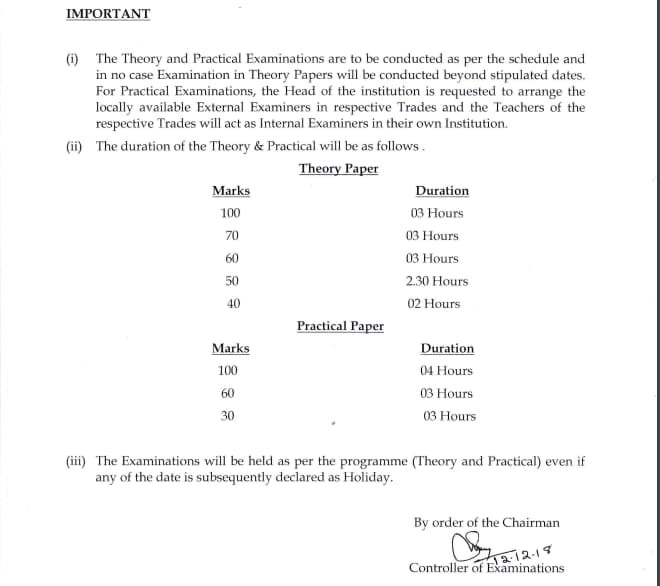 The Timings for the Exams are Between 10 AM to 1 PM on the Scheduled Day of Exams.